To protect the Earth Pit Cover against ingression of foreign material, an appropriate earthing pit cover is provided to be placed atop the earth pit. Earth Pits provide a secure and user-friendly access point for maintenance purposes and the periodical measuring of the electrical resistance of a buried earthing system. In order to complete routine measurements of electrical resistance simply remove the lid from the installed earth pit and connect a lead from the resistance meter to the earthing conductor. Our Earth Pit is manufactured from heavy-duty polypropylene for high strength, available in standard and lightweight variants. Polyplastic earth pit cover is maintenance free earth pit cover. Set the pit in place, and connect the appropriate pipework to the pit. With a grated pit, the grates sit inside the pit. 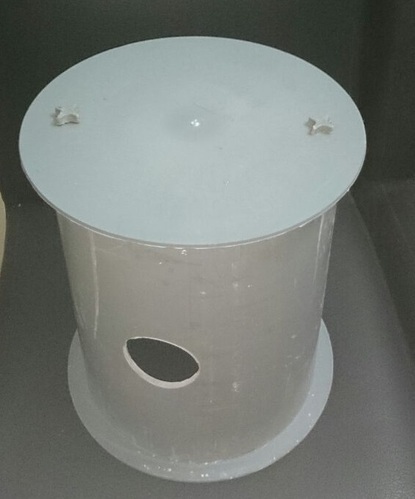 Back Fill the hole with stabilised crushed rock or concrete depending on the load classification. Advantages: The physical qualities of our Cover is that with its excellent dielectric properties, high mechanical strength, chemical resistance and zero water absorption make it ideal for electrical applications. Since 2011, Amiable Impex are the leading Manufacturer, Exporter, Supplier, Distributor, Wholesaler, of Copper bonded rod and its accessories, Exothermic Weld powder, Copper Braid, Tinned Copper Braid, Copper Laminated Flexible Connector / Shunts / Jumpers, and others earthing and lighting Accessories. etc. For more detail please visit our website. As one of India's most respected corporations, we have earned good reputation amongst our customers with Quality Assurance, On time delivery and High Customer Satisfaction. To ensure consistently, we work within a quality assurance system that is approved with ISO 9001 - 2008 certification of UKAS, We are the Crisil Verified Company. We always believe in the power of our brands in doing the right thing. " We understands our Customers Values.